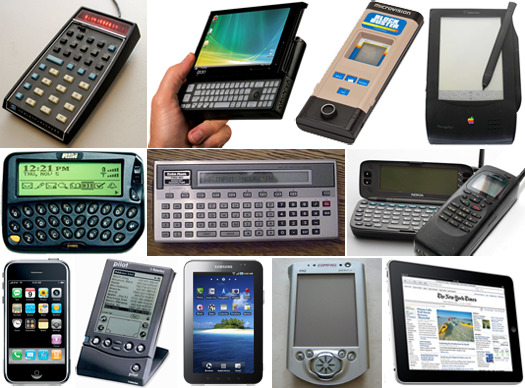 From the first pocket scientific calculator through '80s organizers to today's tablets, check out 15 ingenious devices that have driven the handheld computing revolution. 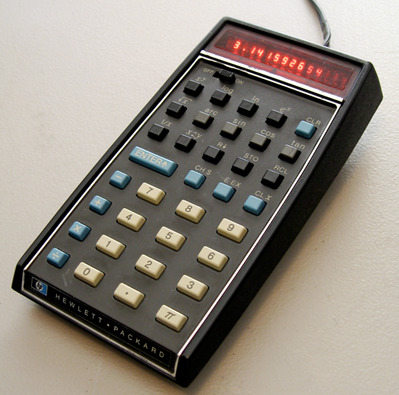 In 1972, engineers at Hewlett-Packard rose to a challenge from founder William Hewlett to fit all the scientific functions of the company's flagship desktop calculator into something he could slip into his shirt pocket. 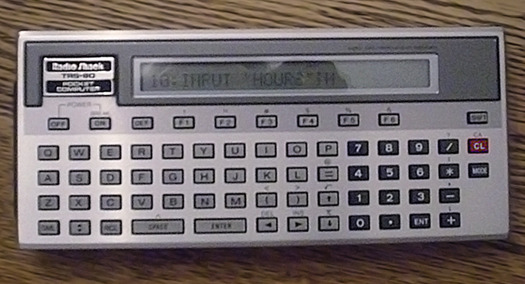 They came up with the HP-35, a scientific calculator no bigger than a box of Milk Duds -- and arguably the world's first handheld computer. Join us for a tour of 15 of the most notable handheld computers from the past 40 years. Some were wildly successful, others infamous flops, but they were all commercially available products, not concepts or prototypes. And they could all be held in one hand and operated with the other -- no laptops, netbooks or laptop/tablet hybrids allowed in our list. In January 1972, engineers put down their slide rules, mesmerized by the glowing red LEDs of the world's first pocket scientific calculator. 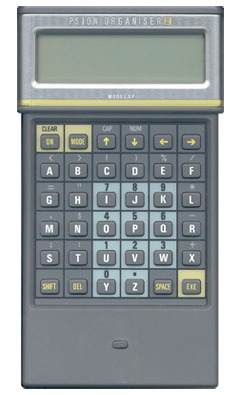 Unlike the simple handheld calculators introduced the year before, the $395 HP-35 (so called for its 35 keys) could do trig and logs and cosines in the palm of your hand, like a true portable computer. To spice things up, it used reverse Polish notation, which stacks math operators at the end of the equation: 6/3 was too obvious; 6 3 / was much more fun. And to yuck it up more, engineers dreamed up calculations that resulted in .07734 -- which looked like hello. when you held your calculator upside down. Ask most people to name the first cartridge-based handheld game machine, and you'll likely get the wrong answer. It wasn't 1989's original Game Boy from Nintendo; it was Milton Bradley's $50 Microvision, introduced for Christmas 1979. 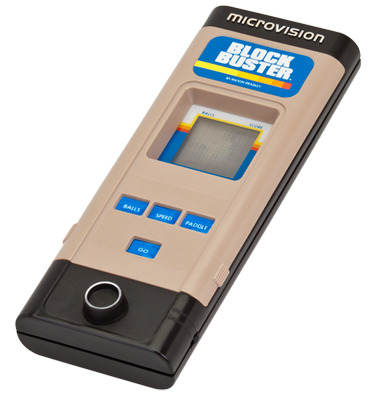 Advancing beyond single-game devices like Mattel's 1977 Auto Race, Microvision had swappable cartridges, making it the first true handheld gaming system. Thanks to a quirk of design, the cartridges contained the CPU as well as a game; the console housed the display, input buttons and 9-volt batteries. It took some imagination to see starships in the chunky 16 x 16 LCD pixels while playing Phaser Strike on the postage-stamp screen, but it worked for the Pong generation. 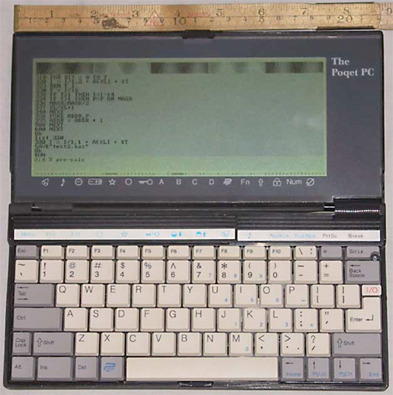 In a pre-BlackBerry moment of genius, Tandy added a QWERTY keyboard to a calculator, allowed for bolt-on storage, and provided a fully programmable computer that could be held in a hand and stored in a pocket -- albeit a large hand and a large pocket. And in a pre-Windows moment of genius, the company immediately dated the device by naming it for the year it was introduced. The $250 TRS-80 Pocket Computer (PC1) featured a 24-character LCD, built-in BASIC programming, and ports for dot-matrix printing onto a reel of receipt tape and saving your BASIC programs and data to external storage (your cassette recorder). The late 1980s were an era when businesses still talked about being IBM-compatible, so it was inevitable that some handheld pioneers would incorporate MS-DOS and run essential software like Lotus 1-2-3 and WordPerfect. The $2,000 Poqet PC did just that. Packing a whopping 640K of RAM and expandable storage into a one-pound clamshell computer the size of a VHS tape, the Poqet PC was a subnotebook designed to be held in one hand and typed on with the other. It even packed communications features -- you could access dial-up online services with it through an RS232 port. And the Poqet PC did what most modern handhelds don't: started up instantly and lasted for 50 hours on a pair of AA batteries. Looking like a Star Trek tricorder, the Newton MessagePad line exploded onto the market like a $700 supernova, and burned out almost as fast as the original Star Trek series. Sporting a pressure-sensitive 336-x-240-pixel display and trendily terse app names (Notes, Names and Dates), this one-pound, 7-x-4.5-in. computer introduced the term personal digital assistant (PDA) into the lexicon. But the MessagePad was ahead of its time. Released with half-cooked handwriting recognition during Apple's Jobs-free John Sculley era, Newton's shortcomings were lampooned on The Simpsons and in Doonesbury cartoons. 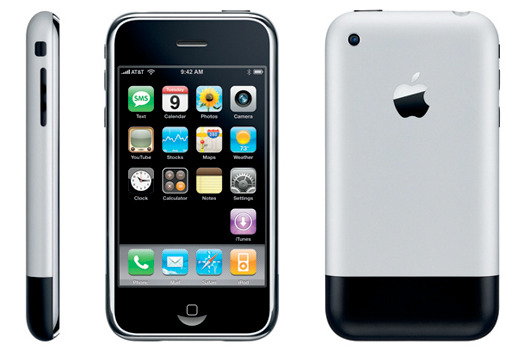 The project never gained the traction it needed, so Apple abandoned it after five years, allowing other companies to dominate the handheld market -- for a while, at least. 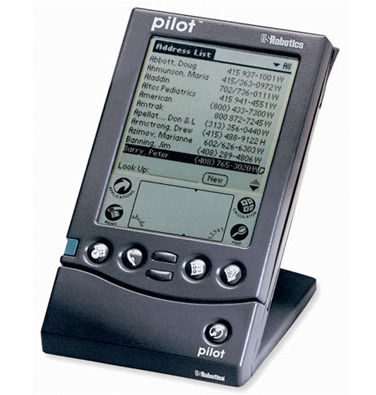 The Palm Pilot (later PalmPilot) was once among the hallowed ranks of Xerox, Kleenex and Google: a trademark used as a generic term to represent an entire industry. It started with three engineers who worked for U.S. Robotics subsidiary Palm Computing, developing a portable system for their handwriting recognition software, Graffiti. 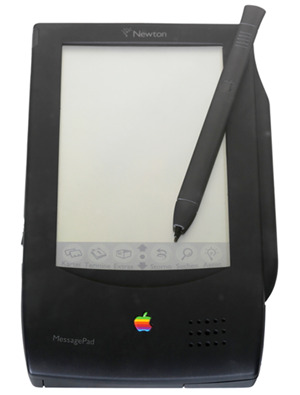 The $300 Pilot 1000 PDA was the result, housing a 160-x-160-pixel monochrome display with a pen-operated input pad in a frame roughly two-thirds the size and one-third the weight of Apple's Newton. 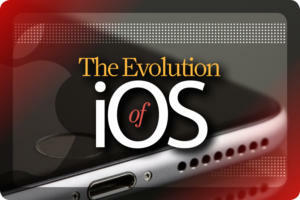 The killer app: personal organization software that could sync smartly with PCs and Macs alike. The Palm OS provided an effective and affordable platform for PDAs and, later, smartphones, and ushered in the world of ubiquitous handheld computing. To modern eyes, it's chunky enough to double, Maglite-style, as a self-defense weapon. 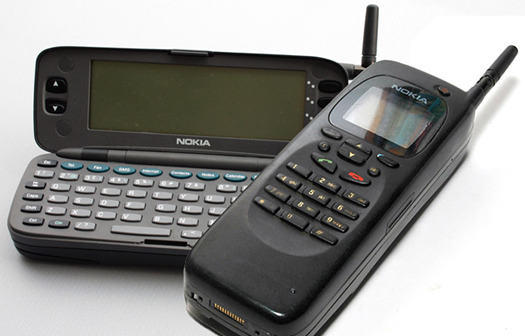 But in 1997, the Nokia 9000 Communicator, with QWERTY keyboard and 640-x-200-pixel screen hidden inside, was a smartphone before anyone was using the term. Its GEOS operating system ran a full suite of personal organization software, and it switched from fax, email and SMS to full Internet access. The Communicator series evolved in a few years, and made appearances in several movies as a cool high-tech prop. Val Kilmer used a 9000 in the big-screen adaptation of The Saint, and the Terminatrix used a 9210 in Terminator 3: Rise of the Machines. But these machines only rose so high before other technology took over. © Research in Motion Ltd.
With its tiny monochrome display and QWERTY keyboard, Research in Motion's BlackBerry looked and acted like a two-way pager (kids, that means texting machine). But it also packed PDA functions and one killer app -- email forwarded direct to your hand. In 2003, the BlackBerry line evolved into a smartphone form, with a larger color screen and such features as quad-band cell communication, SMS texting and Web browsing. From the outset, the BlackBerry rocketed into the collective consciousness, especially among corporate types. 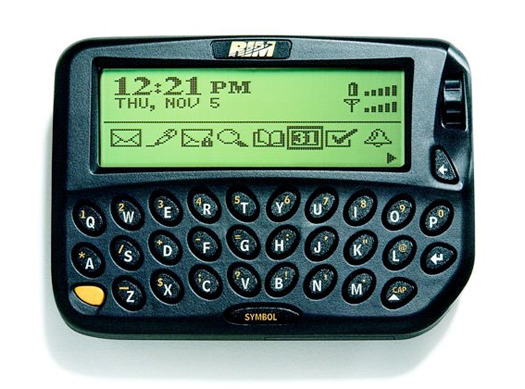 Nothing seemed more addictive than its combination of personal organization and communication: The worst punishment an executive could suffer in the early 2000s was to have his CrackBerry confiscated. Change one letter, and Compaq could have beaten Apple to the punch by a decade. 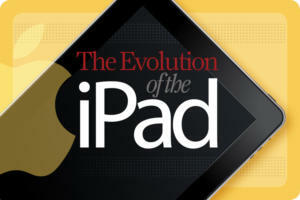 But its trendsetting handheld was called iPAQ, not iPad. Still, for a while, this PDA was the coolest thing to carry. 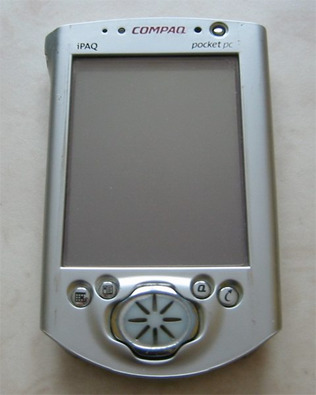 Running on Microsoft's Pocket PC platform, which included mobile versions of Windows and Office, the $400 iPAQ served up a colorful screen and media playing ability, and later evolved to include Wi-Fi access, VoIP and an app market that added features like TV remote capability. It wasn't just close to the iPad in name; it was heading in the same direction. Hewlett-Packard was so impressed it bought Compaq in 2001, dropped its own competing product, Jornada, and adopted the iPAQ as its own. PDAs weren't powerful enough. Hybrid laptop/tablet PCs were too big. If only there were some middle ground. 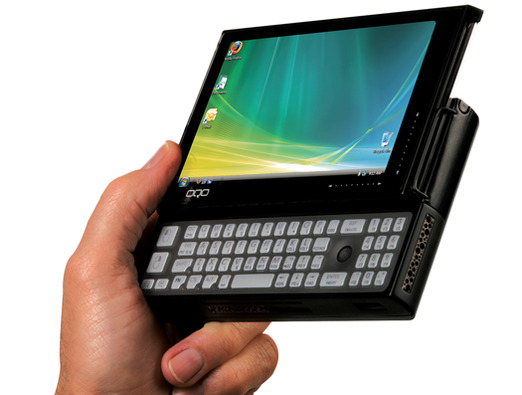 Oh, there was: OQO's $1,500 Model 01, a paperback book-sized tablet PC with a slide-out backlit keyboard. The svelte 5-x-3.5-x-1-incher packed Windows XP onto a 20GB disk, using Bluetooth, Wi-Fi, FireWire and USB to connect to the outside world. Later models ran Windows Vista. 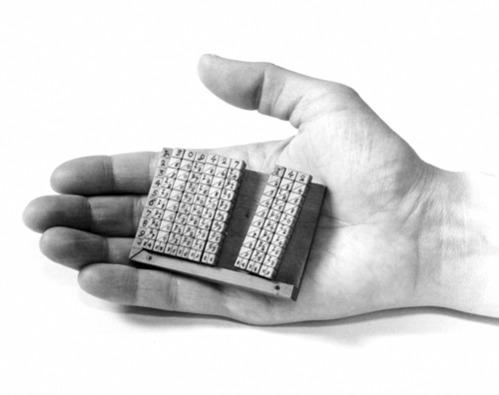 The Model 01 made it into Guinness World Records as the smallest full-featured computer, and it defined a market (some say evolutionary dead-end) for "tweener" devices called mobile Internet devices (MIDs), Internet tablets or ultramobile PCs (UMPCs). The Samsung Q1, Nokia 770 and a flood of Archos products entered this market, but something else was soon to steal their thunder. Portable music players, camera phones, game machines, computers, GPS navigators, PDAs and even smartphones all existed before 2007, but you'd never have guessed it from the lines outside the Apple store when 4GB and 8GB iPhones first went on sale. Sure, people griped at the $600 price tag, and the cost of the monthly AT&T phone/data service. But you couldn't hear them over the sound of iTunes playlists and streaming YouTube videos. 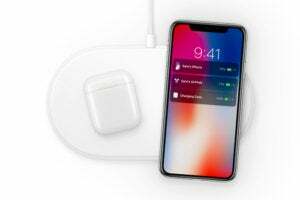 Instantly hailed as revolutionary, the iPhone's gesture-sensitive touch interface and app store model set the standard for the wave of smartphones to come. Four and a half years and four models later, it's still the phone to beat and accounts for more than half of Apple's revenue. The world loves an underdog, and despite being backed by Google, the Android platform came across as a scrappy David next to the smartphone Goliath, iPhone. 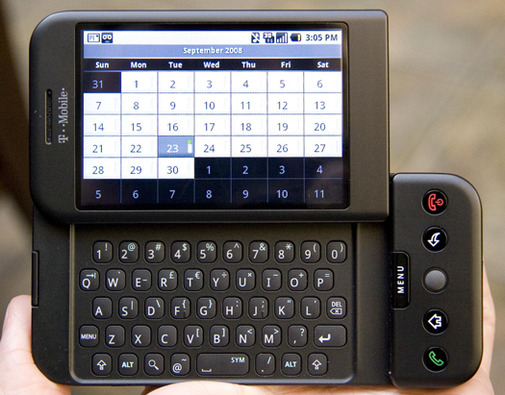 The first Android phone out of the gate was the HTC Dream (a.k.a. the T-Mobile G1), a steal at $150 (with two-year cellular contract). 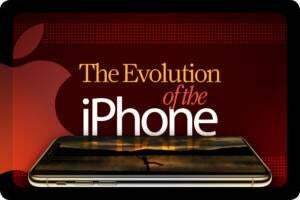 Clearly taking on the iPhone, the Dream offered better battery life, lower cost and a slide-out QWERTY keyboard, but the Android platform trailed in available media and apps. Yet less than four years later, Google's OS commands almost half the U.S. smartphone market, compared to Apple's less-than-a-third. Poor RIM slid to 12%: How are the mighty fallen. Myopic? Got big fingers and poor screen aim? 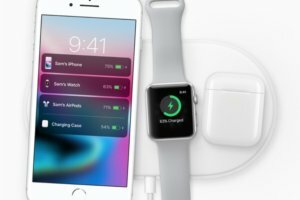 Just when you thought the handheld revolution would pass you by, Apple decided to feed steroids to its phoneless iPhone, the iPod Touch, and market it as a $500-plus handheld for people with really big hands. Joking aside, the iPad brought tablet computing to the masses. Its 9.7-in. 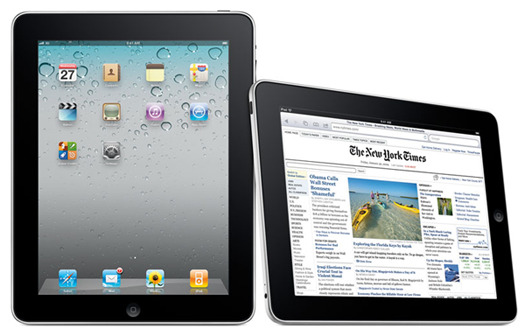 multitouch display, along with Wi-Fi/3G connectivity and tens of thousands of apps available on the iOS market, made it a natural as a media player, e-reader, Web surfer and more. Later-generation iPads added front and rear cameras, making it the perfect device to block the view of those behind you as you record live events. And you thought those birds from Finland were angry! "Apple's got a tablet?" said Google, "Well, let's get Android on something smaller, lighter and less expensive! And to sweeten the deal, let's name all our new Android versions after desserts!" 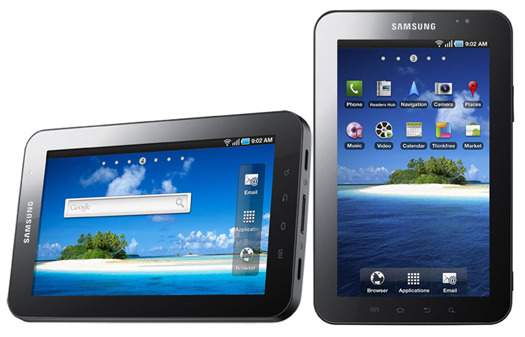 The first Android tablet of note was Samsung's petite Galaxy Tab. For $400, the 7-in. tablet delivered a crisp 1024 x 600 display and some nice bonuses such as Flash support, panoramic photography and automatic photo geotagging. Best, it opened a market for Motorola's $500 Xoom and a flood of other Android tablets, which may soon dip below $200 for high-quality hardware. Looks like the next 40 years of handheld computing are shaping up to be pretty interesting too. But wait, what's this? A handheld computer from 1617? See the next slide. Forty years is the blink of an eye to the granddaddy of handheld computing: Napier's bones. Developed in 1617 by John Napier, the Bones were ten rods of wood, bone or ivory with a matrix of numbers carved into them, slotted neatly into a handheld frame. By rotating the rods, pioneering geeks performed multiplication, division and even the extraction of square roots. True, slide rules and log tables overtook the Bones within a few years, but Napier's mighty rods of math were the first and the coolest by far. Matt Lake is a nonfiction writer and technical services coordinator. He first reverse-engineered a calculation to get the result .07734 in the 1970s, and he's not looked back since.